Vimlendu Jha is an activist and social entrepreneur known for his innovative and unconventional approaches to contemporary environmental and social issues. 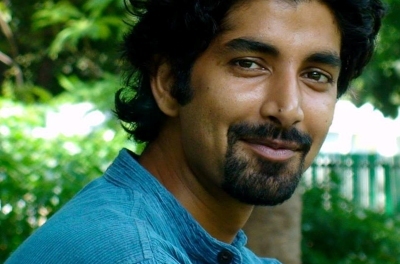 In 2000 he founded Swechha, a youth-run, youth-focused NGO operating from Delhi, India, whose work focuses on the environment and social development. Swechha has come to be considered as one of India’s most influential organisations on youth matters, resulting in Vimlendu being selected to speak internationally and take part in numerous councils and assemblies. He currently serves on the Government-appointed Ridge Management Board and also on the UNEP Multi Stakeholer Advisory Council on Sustainable Lifestyle and Education. To secure Swechha‘s development, in 2008 Vimlendu set up Green the Map, a fair trade nonprofit company that deals in eco-fashion and in its process creates sustainable livelihoods for people. Green the Map produces accessories and stationery out of waste material on a fair trade basis. The company employs dozens of tailors who have migrated from smaller towns and were previously working in sweat shops in and around Delhi. Vimlendu has also made award-winning documentaries on environmental and youth issues that have been broadcast by national and international news channels. His films include Disposable (2009) and Wasted (2007), which deal with solid waste management; Jijivisha (2005), which deals with water issues and the plight of the river Yamuna; and Tatva, which deals with climate, water and energy issues.